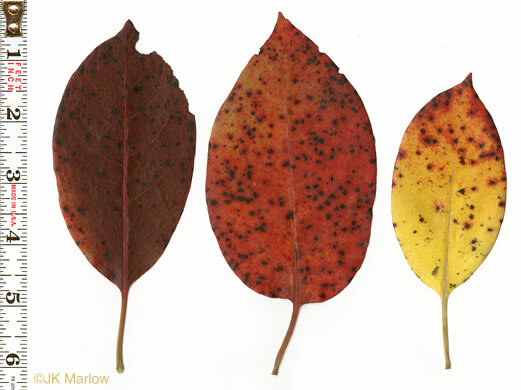 Your search found 5 image(s) of leaves of Blackgum and Persimmon. 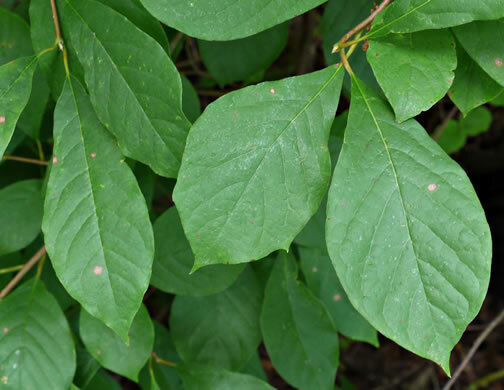 Leaves vary in texture, size and shape, sometimes w one or more large teeth, per Woody Plants of the Blue Ridge. 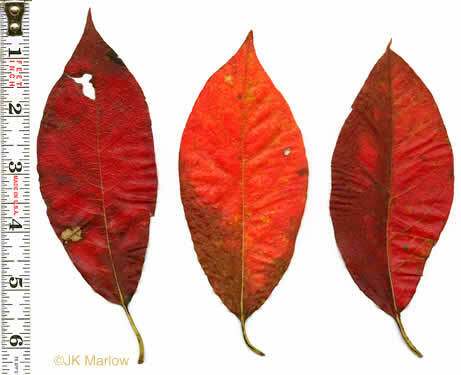 Its bright red leaves are among the most brilliant in the fall forest, per Fall Color & Woodland Harvests. 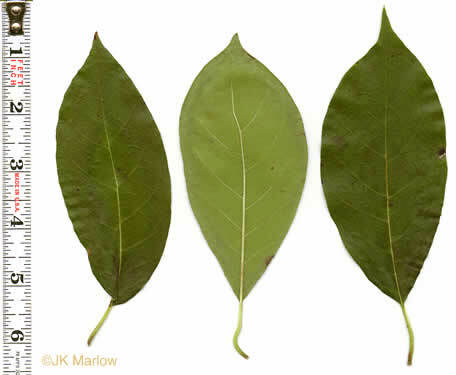 Leaves pliable, typically widest near middle, the apex typically acuminate, per Weakley's Flora. 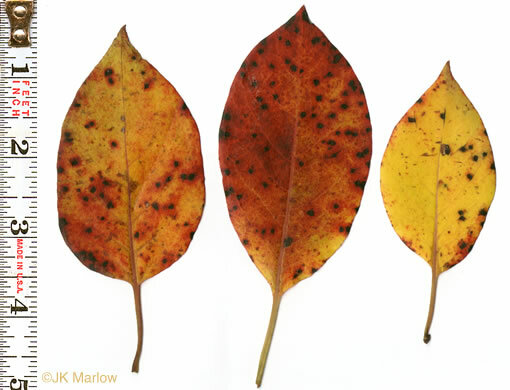 Leaves often have black blemishes on upper surface, per Trees of the Southeastern United States. Leaves never have teeth, distinguishing them from Nyssa sylvatica, per Weakley's Flora.